’Tis the season to give jewelry. Fa, la, la, la, la, la, la, la, la! Untamed Hearts Balance Ring, $68. Made in USA of U.S. and imported material. Still looking for the perfect gift? Look no further. Whatever their style, whatever your budget, there’s something for everyone in our collection of USA-made jewelry. How can we be sure? Because you can never go wrong with something shiny…something striking…something different. Balance Ring, $68. Free shipping. Made in USA of U.S. and imported material. Crafted in Weehawken, NJ, every piece of jewelry by Untamed Hearts has meaning behind it. The inspiration for the Balance Ring: A line can divide, and it can bridge; where you draw your lines is what defines you. 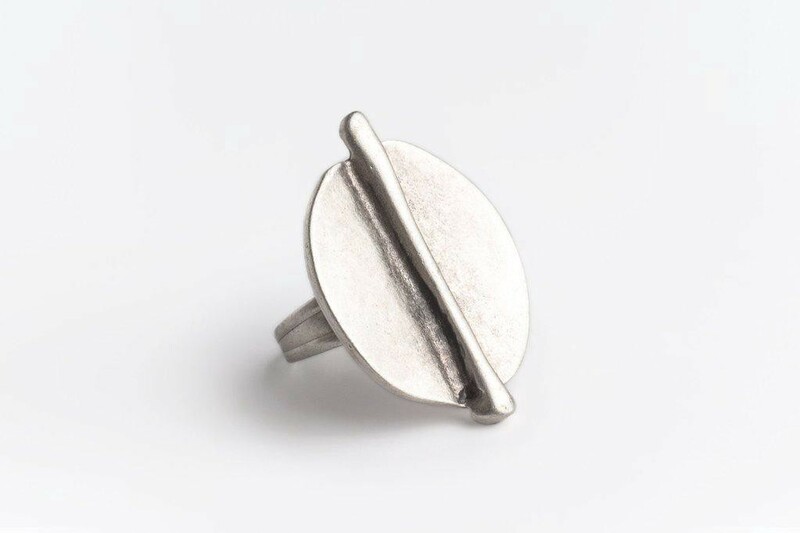 Welded and polished by hand, this striking ring is made of high-quality, anti-allergic zinc alloy and plated with a thick coat of high-grade silver. Teardrop Cherry Wood Earrings, $35. Free shipping. Made in USA of U.S. and imported material. These unusual Teardrop Earrings are so lightweight, you won’t even notice you’re wearing them — but everyone else will! 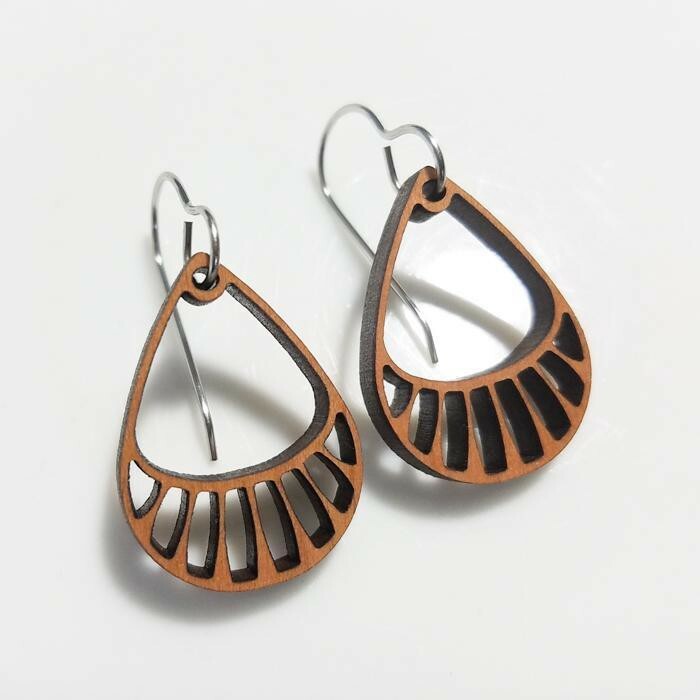 The earrings are laser-cut from cherry wood veneer and hand-finished in Port Jefferson, NY. They’re part of GioGio’s Classical Collection, which is inspired by architectural ornamentation found in neighborhoods and cities around the world. 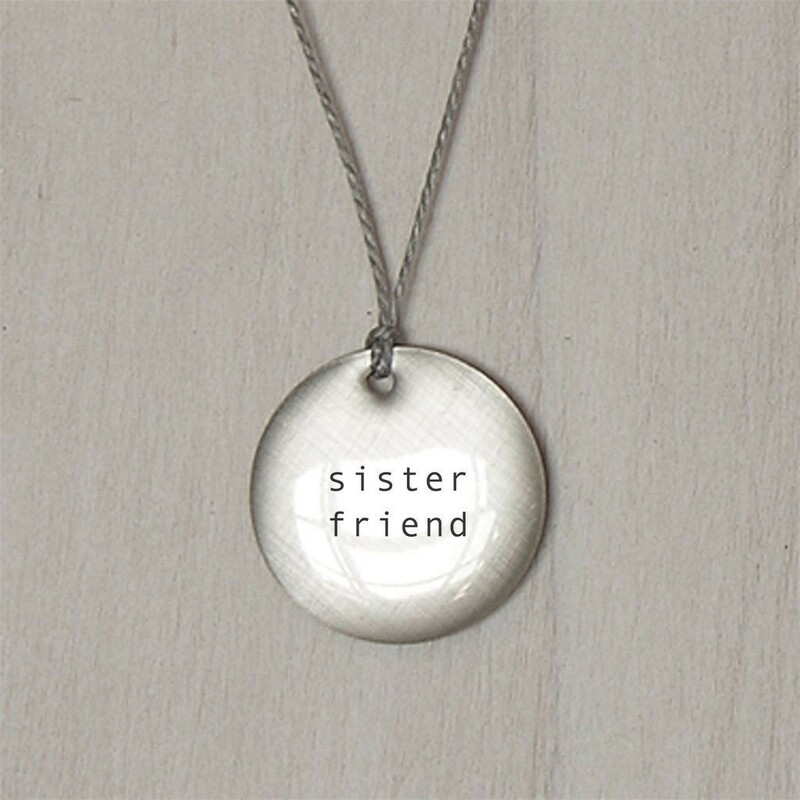 Sister Friend Pendant, $42. Made in USA. Thoughtful, poetic, personal: Handcrafted in Santa Fe, NM, Everyday Artifact’s sterling silver pendants display inspirational words (like the one shown above) and detailed images (of an oceanfront, elephant, rock cairn, and more). The pendants are finished with resin, which protects the image, and comes on a nylon cord with sterling clasps. Elongated Multicolor Earrings, $125. Made in USA. 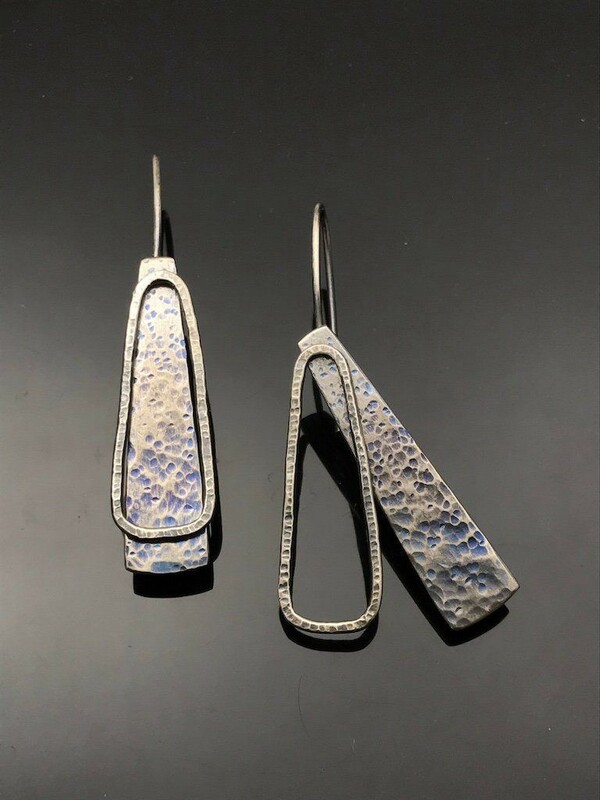 Accents of color in all the right places: Handmade in Westport, CT, by master jewelry designer Mikhail of ornatem, these elegant earrings showcase topazes and chalcedony on 14k gold-plated sterling silver. Four Braided Cords Bracelet, $43 each. Free shipping. Made in USA of U.S. and imported material. 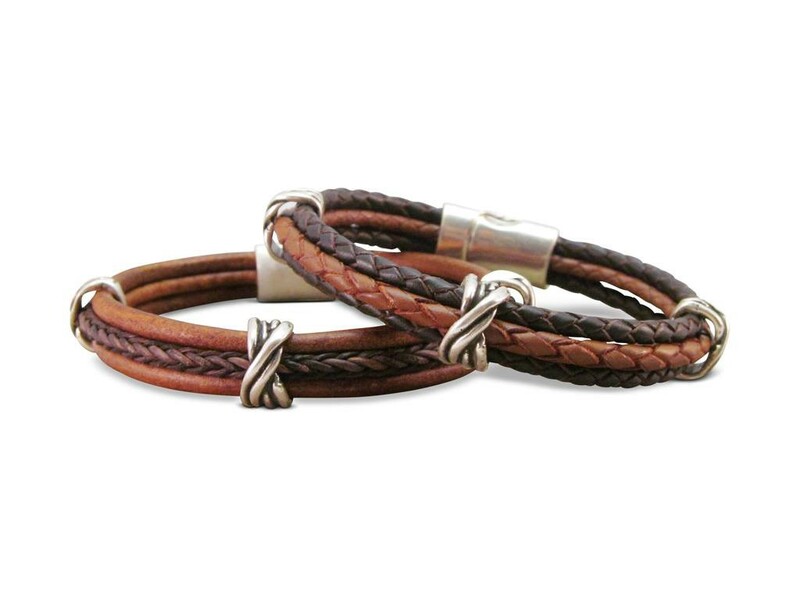 For both men and women, this beautiful leather bracelet comes in three different sizes and three color variations. Individually handcrafted in Bushkill, PA, the bracelet is made of four braided leather cords with silver-plated spacers and a secure magnetic clasp. 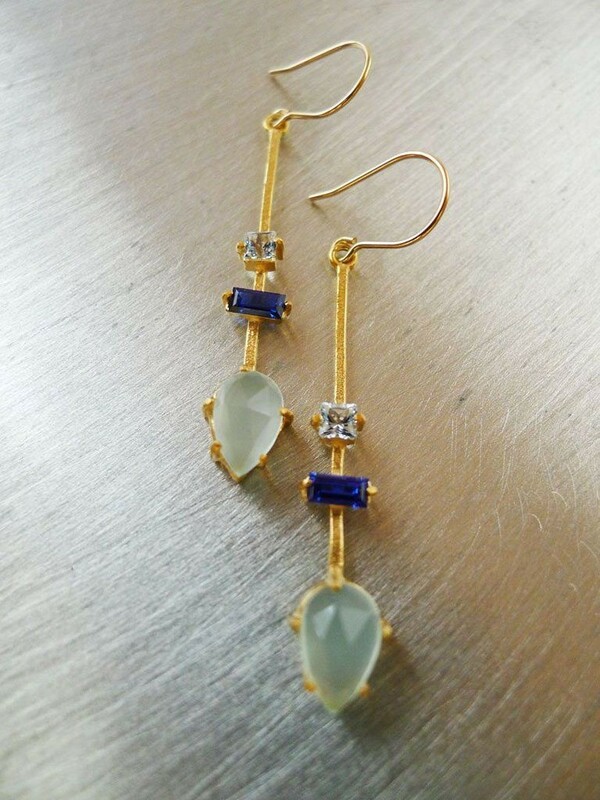 Silhouettes Earrings IV, $110. Made in USA of U.S. and imported material. Movement and metal go together in these fun dangle earrings from taviametal. Handcrafted in Charlottesville, VA, the earrings are made of a titanium swinging back plate joined to a sterling silver open front. Hammered texture and patina on the titanium add to the interesting effect. Raku Boho Jewelry Necklace, $35. Free shipping. Made in USA. 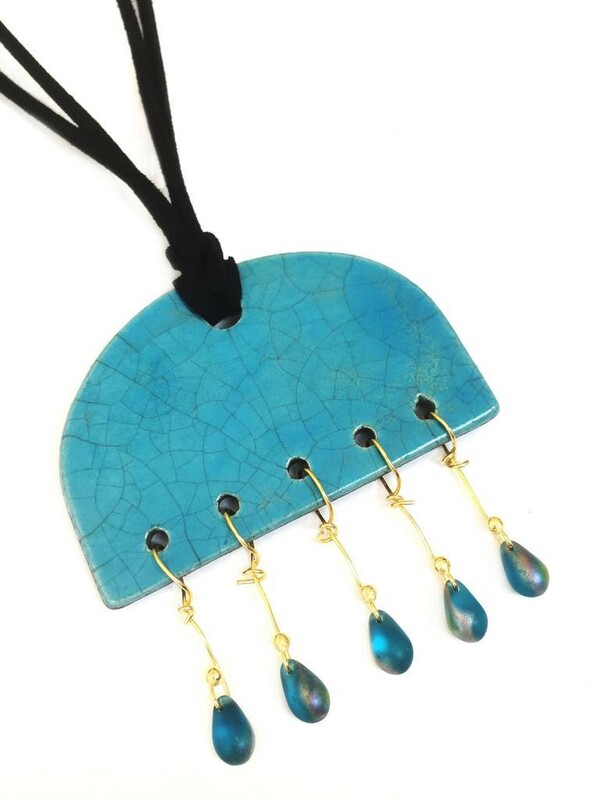 Handmade from Raku-fired pottery in Delray Beach, FL, this gorgeous pendant features a rich blue crackle glaze. Iridescent crystal bead accents and an adjustable suede cord complete the necklace (velvet gift pouch included). Vine Wrap Ring, $54. Free shipping. Made in USA. When Ellie Mathias began collecting vintage jewelry at the ripe age of four, she had no idea that one day she’d be making her own! 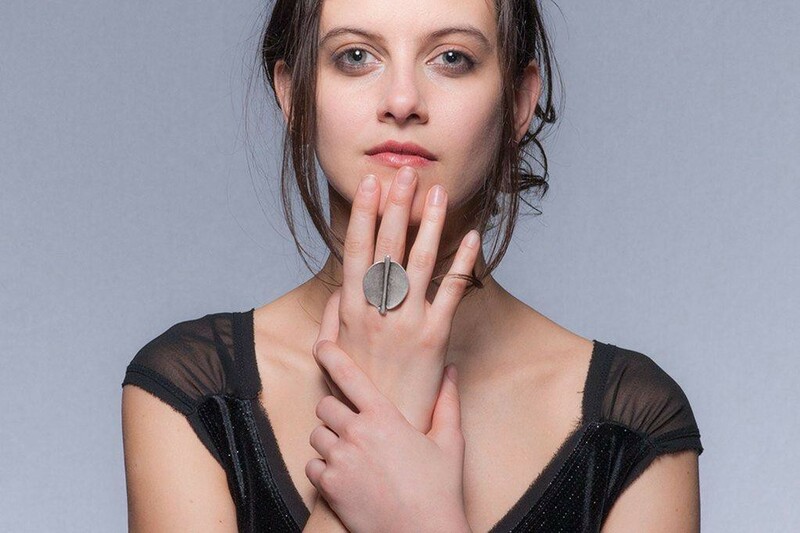 Today, Miss Ellie’s jewelry, combining vintage finds and USA-made materials, is handmade in New York City. 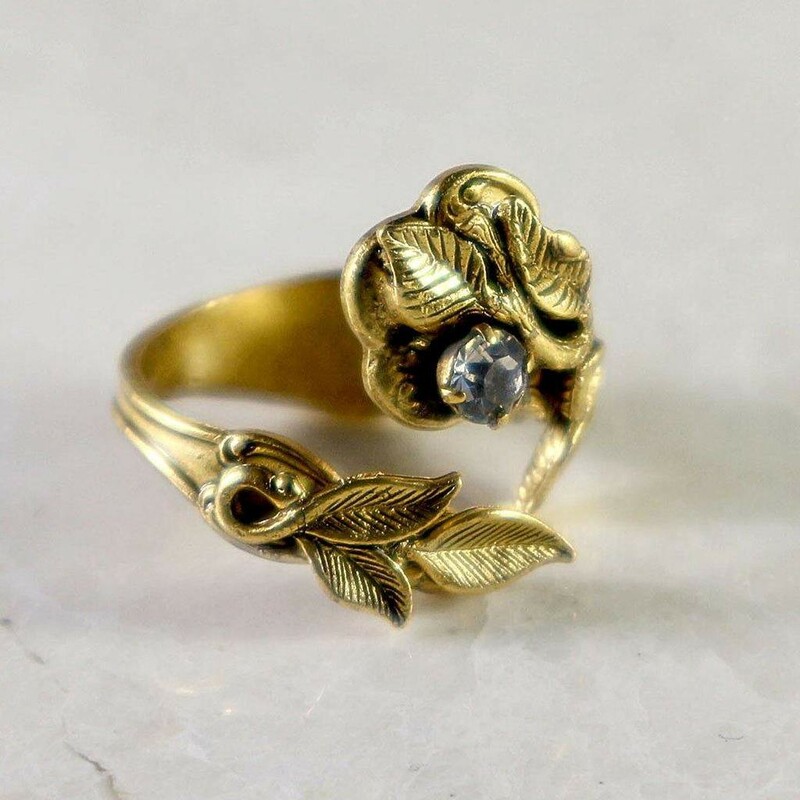 We love this charming adjustable wrap ring in a matte antique gold finish. It features floral motifs and a Swarovski crystal. 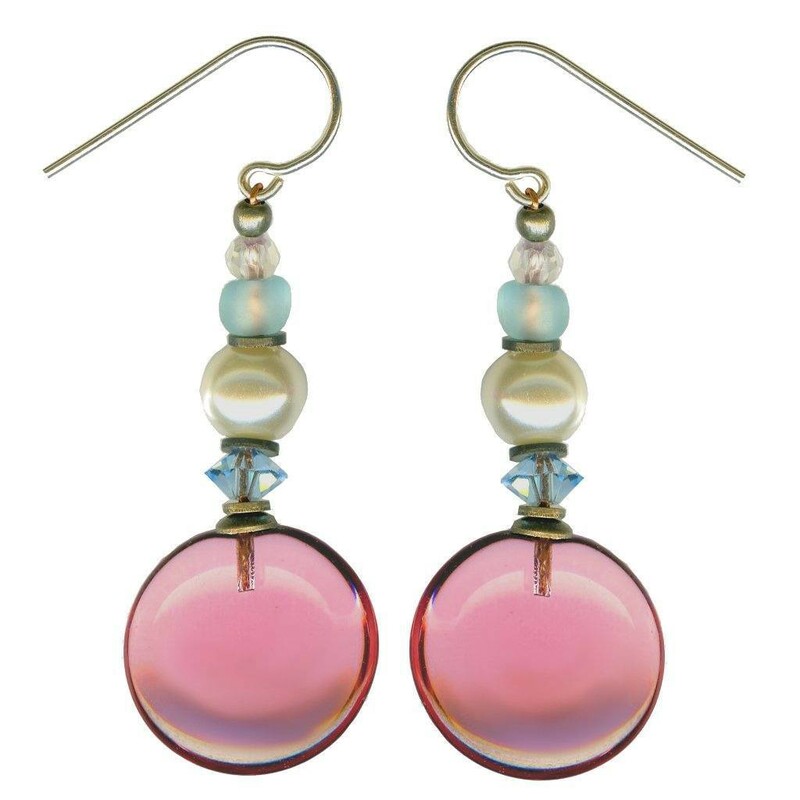 Pink Glass Earrings with Glass Pearls, $38. Made in USA from U.S. and imported material. Designed and handmade in Berkeley, CA, these delectable earrings feature pink glass lozenge-shaped drops and Austrian crystal accents in aquamarine and clear crystal. The pearl-coated glass beads are sourced in the USA. 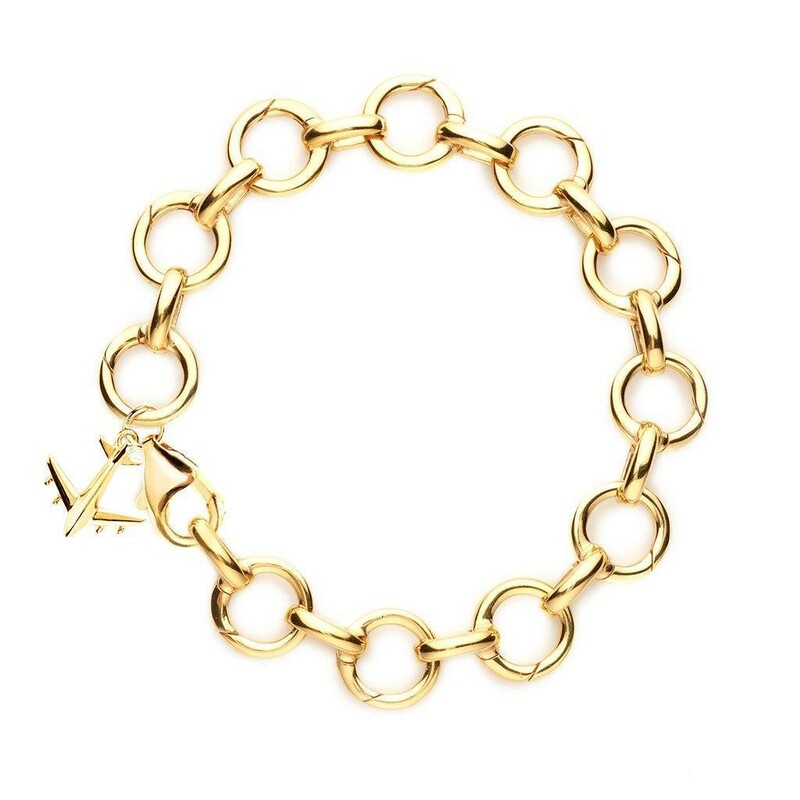 Gold Infinity Link Charm Bracelet, $398. Free shipping. Made in USA of imported material. Nicole Parker King, founder and designer of Jet Set Candy in New York City, set out to create a premium line of stylish, collectible travel souvenirs. Her motto: “Wear where you’ve been or where you’re going!” To help you do that, this 14k gold vermeil charm bracelet contains 13 links that open easily to hold Jet Set Candy travel charms (below). To start off the collection, the bracelet includes a mini gold airplane charm. Destination-specific Travel Charms, $98 each. Made in USA of U.S. and imported material. Need more reasons to give the gift of jewelry? We’ve got plenty! For more ideas, including cuff links, ring holders, and jewelry chests, check out our entire collection of unique USA-made jewelry. Happy shopping! AnytownUSA is the American-Made Marketplace. We seek out the best from artisans and companies big and small that are committed to making their products in America. We share what we find, making it easy for everyone to buy and sell goods created right here in the USA.